What's your vision of New Zealand? An inner-city street in the rain, a campervan under a clear and starry night sky, a high-octane sport or a traffic jam of sheep? 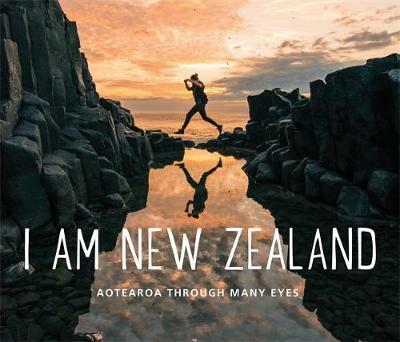 This book collects a range of personal views of Aotearoa from photographers, both amateur and professional, along with their thoughts on what makes New Zealand. When Nikon invited the photographic community to build an image map of the nation online (at iamnewzealand.co.nz) there was an amazing response and many creative and inspiring photographs were posted. This collection offers a range of those that truly say I AM NEW ZEALAND. All royalties from the sale of this book will go to the Mental Health Foundation of New Zealand.